Wives and husbands, children and parents, partners, friends, mates…so many relationships colour, if not dominate, our lives and may demand our ‘best’ at every breath. This article by Helen Northey is the first in a series of articles on the Eight Powers of the Soul. “Perhaps this situation has been no different for centuries — the same old ‘needs’ game with the chant “I need you to…”. Joanna, will you… Malcolm, can’t you wait a moment while I … Diana, could you go and…” This chatter of tasks and needs can kill our happiness, as if hammering away at inner concrete; that’s how it feels at times. Julia paused, thinking about something she had heard in the yoga class the night before, then began by saying, “I’ve been going to yoga lately—twice a week—Raja Yoga. These classes are not your regular stretching yoga but a ‘yoga’ for the mind and heart. I also call it meditation – Raja Yoga meditation. The method works for me because it is silent, reflective and allows me to meditate anywhere. Let me have a go at explaining the method now. “My teacher suggested that I consider my mind to be like an organ of the soul, a vital heart that pumps the life blood of thoughts into the atmosphere, keeping everything ticking, so to speak. By that she meant, every thought I think is an injection of life force into my day. If the thought flow is positive, I have a great day. If there are depressing or critical thoughts, then the day will be lousy. “Then she said something extra special for me: not only is it a question of being positive-minded versus being bogged down in negativity, but each thought comes with an attitude, a unique power behind it. Each thought is wrapped in an intention, which drives the thought into the cosmos and then into reality—bearing fruit some time if not straight away. Julia paused for a couple of moments, giving Natalie time to digest what she’d just been saying. Clearly, there was more to come – some basic facts about the way the mind operates – that she knew she would have to work with, if she wanted to set her life on a healthier course and feel more in charge of her life and mind. These facts had obviously made a tangible difference to Julia already.. Natalie could see the change on her face – she was glowing, unlike six months ago when she looked so ragged. Julia continued: “As our attitudes are filled with power, it is so important that we use the right power at the right time.” And we should know how they all flow together – one strengthening the other, as the events play out. The teacher told me that there are eight powers in all. “The first power is to ‘withdraw’. It’s latent in everyone.” She showed Natalie an image of a giant Galapagos tortoise. “See this tortoise. Even though he carries the strongest of protective shells, he still has to know when to pull his head in to stay out of harm’s way – that is, humans. “Nope.” Julia smiled as she replied, still respecting Natalie’s frustration. But Natalie had to concede that she knew that the process worked. This apprentice just had to start. Nothing less. “Withdraw from all the senses – the eyes, ears, nose, skin. Every body department needs to be on hold for at least two minutes. Bear in mind too, this practice is not just to protect ourselves, but also to see that we perform to our highest potential with maximum clarity. “Now”, came Julia’s calm reply. “Let’s use the power to withdraw now. Fix your eyes gently – you can still blink – on this candle on the table. No need to stare. Just rest your eyes while looking at the centre of the light. Only see light. Only remember light. Feel light. Let go. Hold that mind pattern; keep thoughts simple. At least two minutes passed, but to Natalie it felt like half an hour of bliss. She sighed and beamed peacefully. 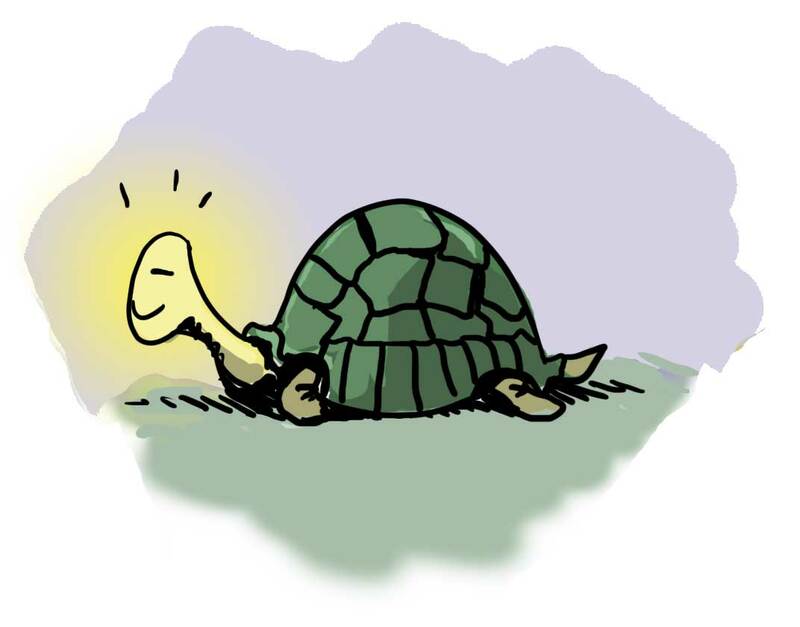 Like a tortoise, moving to a position of safety, withdraw from the organs of the body, and become the seed, detached and an observer of the drama of life. Disengage from negative, hurtful situations and remain calm. Allow contentment to emerge inside. Maxine worked in the newsroom. Everyday, 24/7, the office was action stations with no break from the time beat, tasks and people’s demands. Lunchtime was taken when possible and often not until after 3pm. She managed that way and accepted the work flow, because she chose this career. But what really made the difference was the five minutes ‘time out’ before going back into the mêlée. Maxine sat in the back room, in dim light, took a deep breath and trained her mind to step out of activity, switch off, be still for just a moment. Five minutes in every 24 hrs was a small sacrifice. She loved this uninterrupted time so much, returning to the office refreshed and ready for action. Can you do the same in your work day? Phillip had just seen his doctor. The confirmed diagnosis of prostrate cancer was devastating. He had been through a rough six months at work and this news was the last straw. Sitting behind the wheel of his car, he slumped backwards, in shock, stunned and trying to face facts. His mind wanted to run helter skelter with questions but another side of him was quiet, calm and peaceful. He chose the second option and moved deeply into that inner space, away from the turmoil of ‘what next?’ He did not start the car for another 20 minutes, then decided to drive home and break the news to his partner. The power to withdraw had restored his equilibrium and his ability to deal with the situation. Joanna was sitting her final exams. Although she had done well in all term assessments, she really wanted to pass with honours. At the beginning of each day, she would slip quietly into the college chapel and contemplate the lit candle on the altar. Just 10 minutes a day spent in this secret, silent place helped keep her perspective clear all day. Her last exam was in 2 hours’ time, so she dipped into that inner treasure trove of peace once again, and allowed her mind to be strengthened by the power to withdraw. You are powerful. You step back from each situation knowing that you are more powerful after a pause than before one. You are powerful. With detachment and clarity, you go into silence, clear all emotion and desire from your heart and hear what others actually say. You are powerful. During quiet reflection on your personal values, you move to the heart of the matter and protect yourself from irrelevant influence. You are powerful. You return to your 'centre' and see what matters right now, then gently send energy forward in time to pave a path of peace. You are powerful. There is a time to be connected to people and places and a time to remove yourself physically from them, discreetly, never losing respect. I read your book its an awesome one and I'm seeking for more. I wish you will rewrite more such thing in future. very nice practice lesson. thank you BK.